Much of what is written about church planting aims at methodology and strategy for facing such challenges, but specific strategies do not apply to every context. 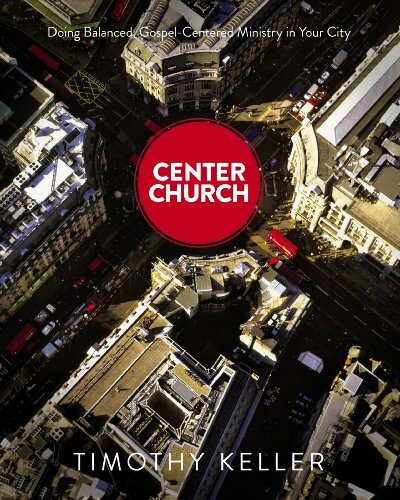 What lies deeper, at the heart ofevery church plant?The most critical human component of every church plant is the planter.Darrin Patrick, vice president of the Acts 29 Church Planting Network, looks at what Scripture teaches about this man’s character, his teaching, and the aim of his church. Offering guidance and wisdom from years of experience, Patrick reminds us that ultimately no church will succeed apart from a man with a message who leads a church on a mission. 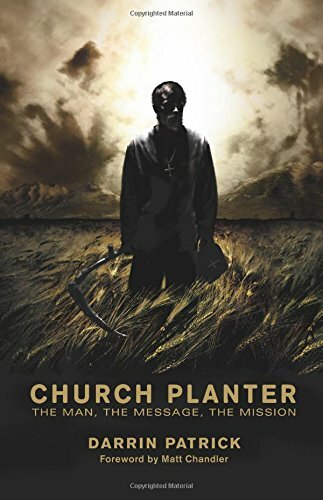 This book is for every Christian leader.Church Planter is an essential resource for those considering planting a church or already in such a plant, and maybe even more important for those leading an established church. It has wide-ranging application for elders and leadership teams seeking to better understand how the gospel must take root in their church. Avoiding an over-emphasis on particular models or methods, Patrick lays out biblical principles and sound wisdom as he urges the church to return to biblical criteria for determining the man, the message, and the mission God uses to build his church. "Nothing in my life goes untouched by my husband’s calling. "Christine Hoover’s words in the first chapter describe so well the life of a church planter’s wife, which is enormously difficult yet extraordinarily rewarding. 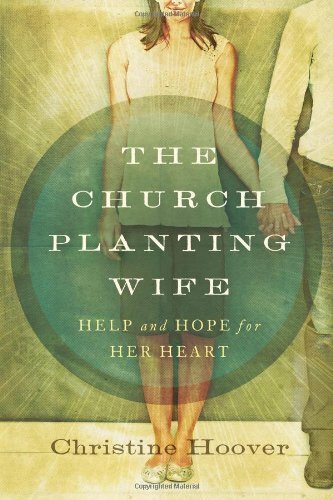 To be married to a church planter is a calling of its own with a richness of its own.In The Church Planting Wife, Hoover explores and encourages the hearts of her readers while teaching what it means to have heart prepared for this unique ministry. She knows the challenges: A church planter's wife must develop a job description, be a wise helper to her husband, develop friendships within the church and community, deal with stress and discouragement, handle wounds, and more. Christine speaks candidly about these challenges while urging readers to grow a heart that wholly reflects Jesus.Spread throughout these pages are stories and interviews from church planting wives. Christine Hoover empathetically and pointedly builds from these testimonies to uplift the reader and offer lessons of hope in the midst of a challenging ministry. An innovative anthology written by successful church planters who have consistently and successfully challenged prevailing assumptions about healthy church development and "best practices." 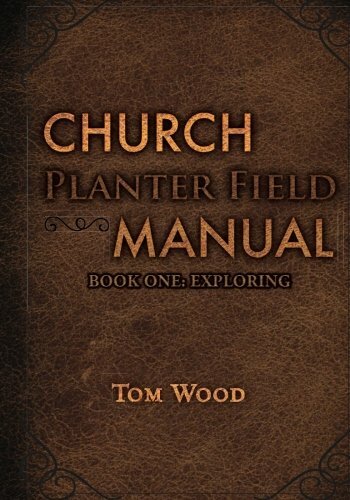 This informative book gives insight into how they broke the mold of church planting. Includes chapters written by Michael Baughman, Olu Brown, Doug Cunningham, Kenda Creasy Dean, Mark DeVries, Amanda Garber, Trey Hall, Diane Harrison, Elaine Heath, Jerry Herships, Derek Jacobs, Matt Miofsky, David Rangel, and Owen Ross. The Church Planter Field Manual is designed to empower leaders to multiply gospel-saturated, missionally-engaged and reproducing churches in their cities or regions. In Climbing, you will interact with materials on Building a Launch Team; Designing a Worship Service in your Context; Handling Conflict in a New Church; Planting Generosity; and Missional Engagement part 2. Each chapter is filled with practical ideas and interactive adult learning methods. The Church Planter Field Manual is designed to empower leaders to multiply gospel-saturated, missionally-engaged and reproducing churches in their cities or regions. 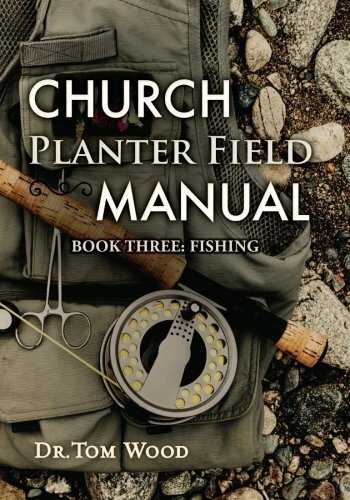 In Fishing, you will interact with materials on Disciple Making for a New Church; Team Building For Beginners; Gospel Life of the Planter; and Developing Leaders in a New Church. 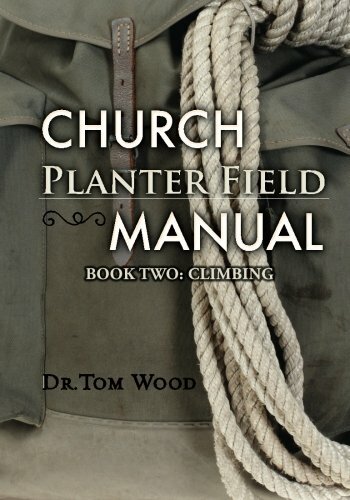 The Church Planter Field Manual: Exploring, is gospel centered training for church planters by church planters. Each chapter is designed to empower leaders to multiply gospel-saturated, missionally engaged and reproducing churches in their cities or region. A groundbreaking guide for multiplying the impact of church plants Based on a study that was commissioned by the Leadership Network, this book reveals the best practices in church planting and uncovers the common threads among them. A much-needed resource, this book will inform, guide, and even catalyze today's many church planting leaders. 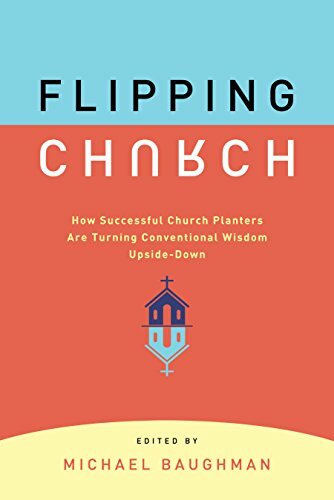 The authors clearly show leaders how to plant churches that create a multiplication movement and offer inspiration for them to do so. 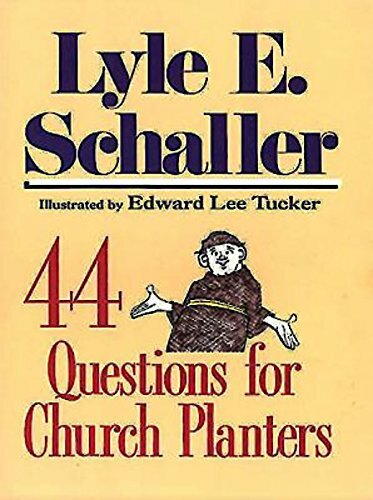 The book addresses their questions about what to do next in their church planting strategies, in light of research on what's actually working best. 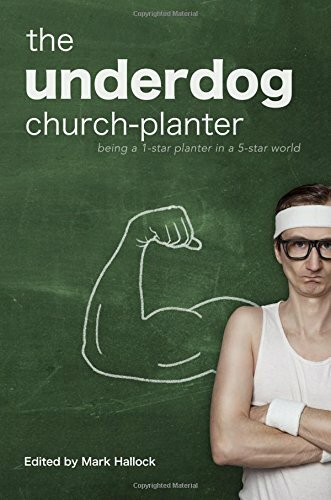 Author Ed Stetzer heads up LifeWay Research Provides reliable, credible information about what church planting strategies work best A volume in the Leadership Network Series Offers a definitive guide for church planting and the burgeoning movement it is part of. The journey of church planting presents ups and downs, highs and lows, and everything in between. Riding the roller coaster of church planting can be both exhilarating and exhausting. 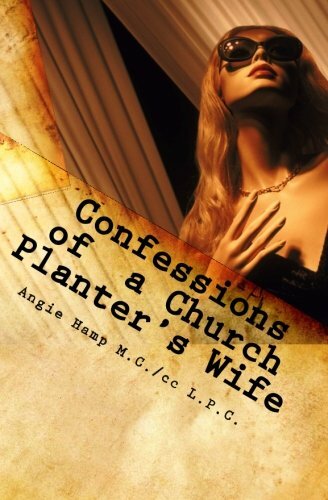 Confessions of a Church Planter's Wife tackles some of the most common issues church planter's wives face in a candid and real way. This valuable resource will challenge you, encourage you, and equip you to be all that God has called you to be! Answers the question "Why start new churches?" and shows how to reverse the decline of new church development. Schaller offers tested advice based on more than thirty years of working with leaders responsible for developing new churches. Counting the Cost to Church Planters and Their Families.Church planters are, as a rule, risk-takers who jump with both feet into God's calling to grow new churches. But the financial and administrative challenges of starting a church can take a toll on even the most energetic Kingdom entrepreneur. Church Startups and Money is a study of the financial realities faced by church planters across the country. 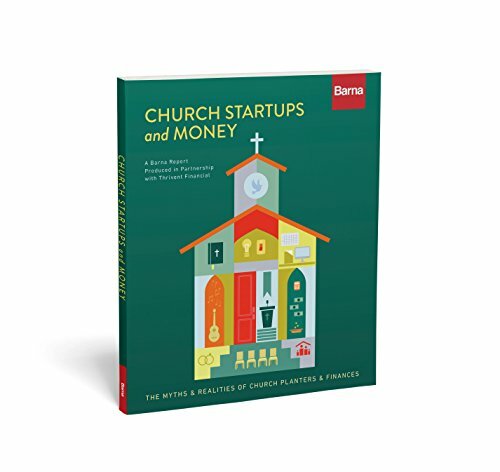 Barna interviewed more than 700 leaders whose ministries are in ''startup mode'' to find out how money - or lack thereof - impacts their ministry, family, and overall well-being. Produced in partnership with Thrivent Financial, who commissioned the research, Church Startups and Money asks:How do planters perceive their financial situation?Do planters take in adequate household income to support their families? What are planters' primary sources of income, and which sources correlate to greater financial stability? Does the location of a church startup affect the chances of long-term sustainability? What kind of training and support do planters need in order to be effective startup leaders? 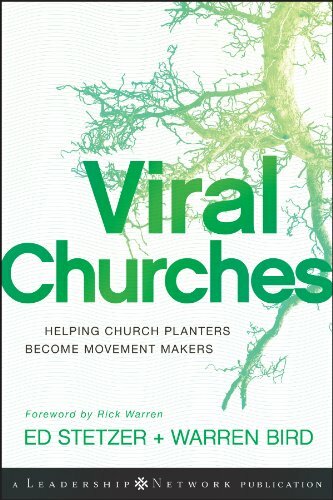 And much more...This research can help planters, planting networks and other supporters talk honestly about the resources startup leaders need to thrive and to plant thriving churches. The key to church planting is to have a diverse philosophy of Preaching, teaching, praying and fellowship that brings people together and will keep people together. If this is done correctly and people are able to connect with God, they will experience true worship as a congregation. 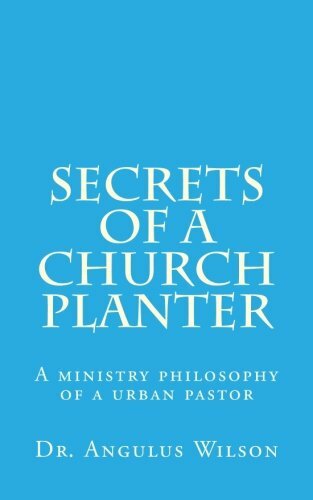 If you are a church planter or desiring to be one, this is a great read to help you understand what one should think about as they undertake the unseen challenges in the ministry. Church planting isn't for everyone. However, if you are called to do it, you want to listen to those who have tried it and succeeded. This is a must read for you. 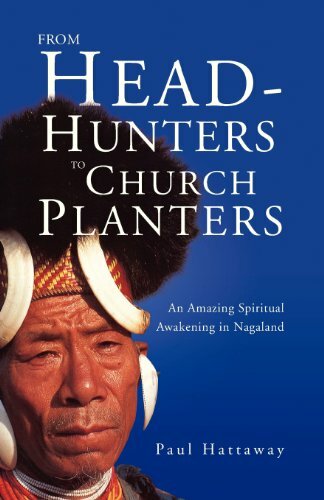 There is a tendency today to associate revival and miracles with charismatic churches, but there were none of those in Nagaland when God first brought revival there. These powerful and life-changing visitations came to orderly, conservative Baptist congregations. As a result, Nagas found their true dignity not in themselves, their ethnic roots, their head-hunting, or the defense of their homeland, but they discovered it in the person and life of Jesus Christ, the living and one true God. This is a moving story of bravery and betrayal, suffering, persecution, supernatural intervention, and subsequent human weakness. Rising generations of Americans are ignorant of Jesus Christ and have virtually no moral absolutes. So who will evangelize them and whats the best way to go about it? Ralph Moore says the answer is aggressive church planting. But he is emphatic that established churches cant do the job alone. Why? Because new churches can better meet the needs of each new generation by presenting biblical truth in the cultural context that best reaches these people. This book will challenge you to consider becoming a church planter, without sugarcoating the problems and practical challenges involved. Moores authoritative, edgy message is based on firsthand experience in overseeing the movement that has planted more that 200 new churches. Starting A New Church not only covers everything you need to know from the ground up, but it also reveals why church planting may be the most dynamic movement in evangelism! 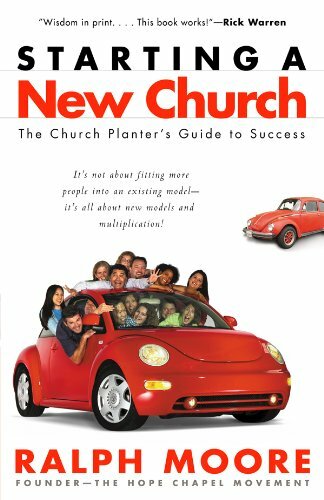 If you like this book, be sure to check "How To Multiply Your Church," a guide for an existing congregation that hopes to reproduce. Also by Ralph Moore.